We specialize in CNC machine tooling organizers. 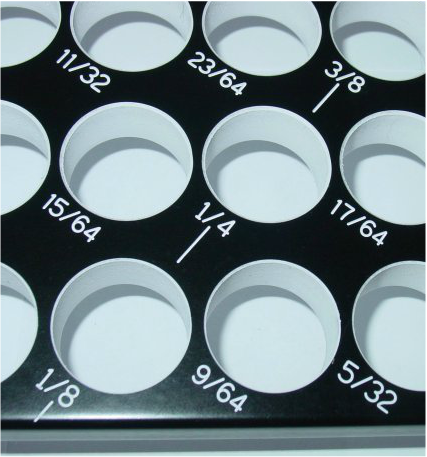 Many of our collet racks have engraved sizing. This speeds up setups because the size you need is always at your fingertips. Our racks are machined from solid, giving us the ability to continuously improve without retooling.